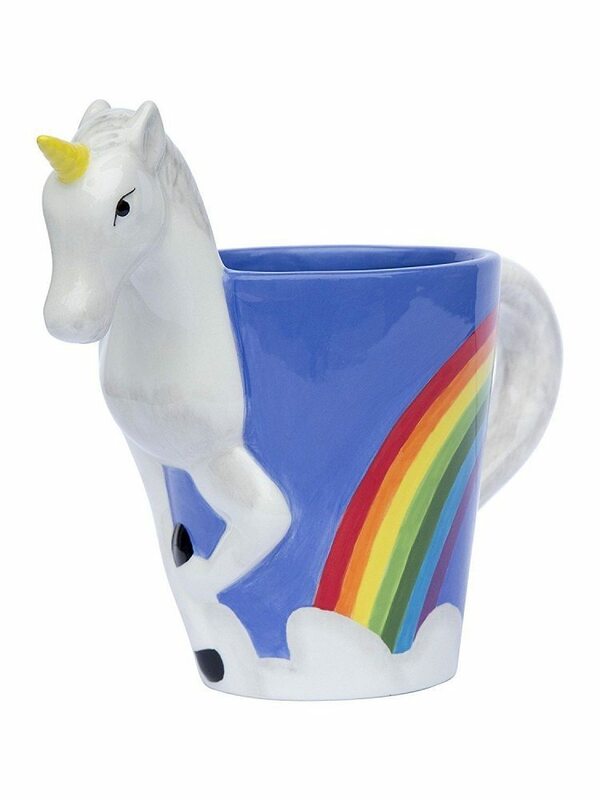 This 3D Unicorn Mug from ThinkGeek would be an ordinary ceramic coffee mug, had it not been for the pristine white unicorn wrapped around one side of the mug. 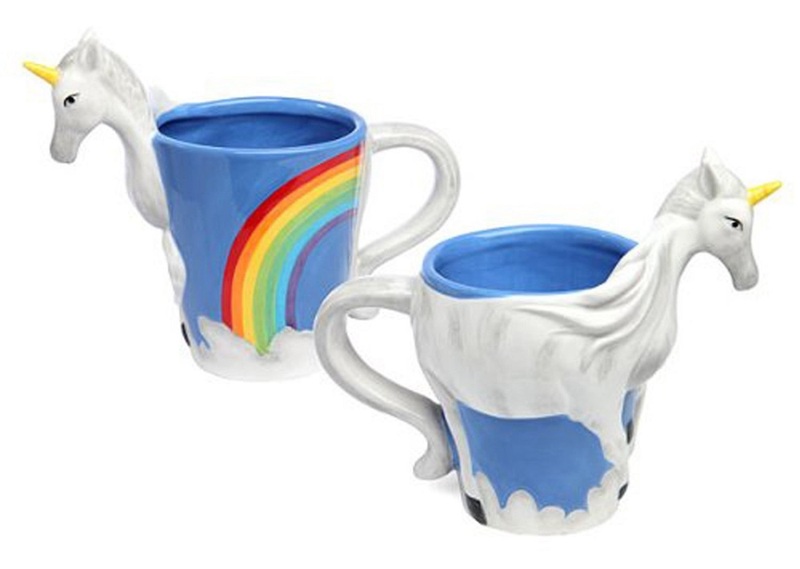 It’s a clever design too, with the mug’s handle serving as the tail of the unicorn. 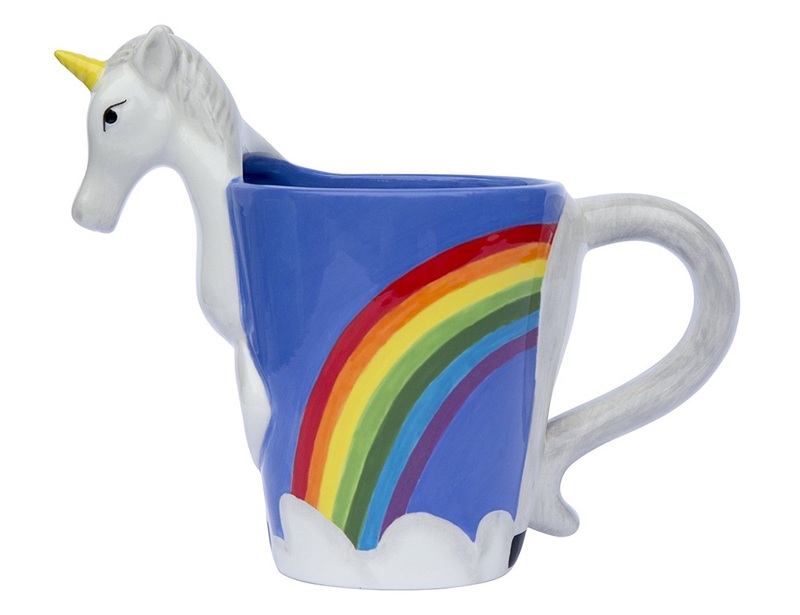 Whether you’re drinking coffee or hot chocolate or something a lot stronger, the unicorn adds a touch of magic to the proceedings. 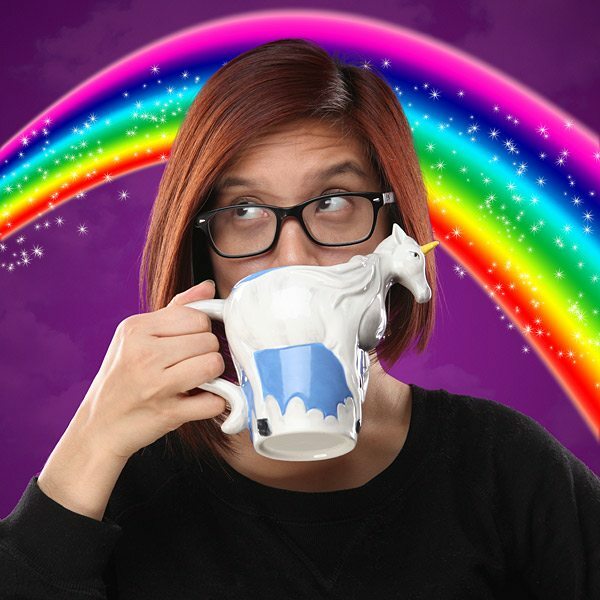 Oh, and it’s a lot happier too, with blue skies and a rainbow on the other side of the mug. It’s more of a “cheer up” mug than a “kick you awake” kind of deal. Of course, the unicorn won’t be able to help all that much if you fill the mug to the brim with enough caffeine or alcohol to give you a bigger kick than a mule with a grudge.